As with other industries, operations at nuclear plants result in waste, some of it radioactive. Radioactive waste that is handled within the plant is discussed separately under the Plant Systems - Radioactive Waste Systems (Liquid, Gaseous, and Solid). This section covers the radioactive waste that might be shipped from the plant for disposal. Low level waste (LLW) shipped from nuclear plants includes solid waste as contaminated clothing, exhausted resins, or other materials that cannot be reused or recycled. Most anti-contamination clothing is washed and reused; however, eventually as with regular clothing it wears out. In some cases, incineration or super-compaction may be used to reduce the amount of waste that has to be stored in the special landfills. Previously, all LLW was sent to South Carolina, Nevada or Washington. As a result of a federal law change, all states are required to form compacts. The compact concept is based on one or more states in the group acting as a host state. Unfortunately there is considerable delay in states coming to agreement. As a result, there has been little progress in actual construction of waste storage facilities. Currently, most LLW is stored on-site in buildings designed to accommodate at least 5 years of storage. While most LLW does come from nuclear power plants, other sources of LLW include hospitals, and medical, government, university, and research laboratories. The Google search <low level radioactive waste> leads to more information on LLW. For statistical information and comparisons, see More on Low Level Radioactive Waste. 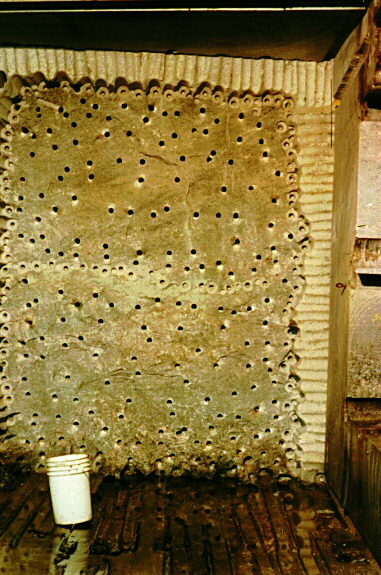 High level waste (HLW) is considered to include the fuel assemblies, rods and waste separated from the spent fuel after removal from the reactor. In the 1960's when nuclear power offered promise, many utilities purchased plants when they thought that they would be shipping the spent fuel for reprocessing after the fuel had been stored in the plant storage pool for 6 to 18 months. However, no reactors in the United States have been purchased since 1974. Originally, a number of utilities had contracts with the West Valley facility until 1976 when contracts were terminated. Currently the spent fuel is stored at the nuclear power plant sites in storage pools or in large metal casks. In some cases, plants have had to re-design and modify the storage pools up to 2 times in order to keep running the plant. The U.S. federal government has designated Yucca Mountain in Nevada as the national ultimate disposal site for HLW. This site was selected based on geological considerations, although there are opposing views regarding that assessment. The Department of Energy has charged with receiving spent fuel from the utilities starting in 1998. For statistical information and comparisons, see More on High Level Waste and Spent Fuel. To ship the spent fuel, special transport casks have been developed and tested. Films are available that show the testing. Shipping spent fuel has usually been done by train or truck. For many years, spent fuel has been transported from the naval reactors to storage and reprocessing facilities (e.g. Idaho Chemical Processing Plant). Those facilities are currently not operational. Canada has taken a different approach. 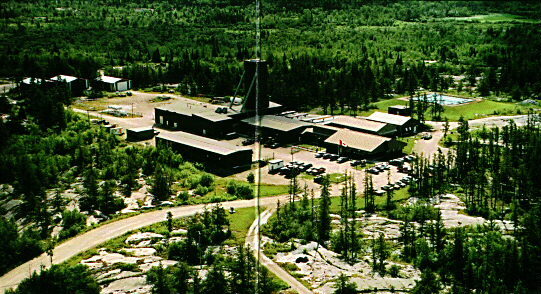 At Pinawa, Manitoba, Atomic Energy Canada Limited (AECL) has a Underground Research Laboratory (URL)(94K). 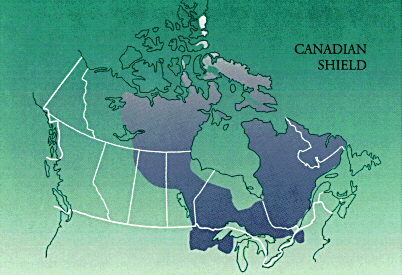 The site includes rock formations representative of the Canadian shield (55K) with a range of fractured zones (from none to heavily fractured). 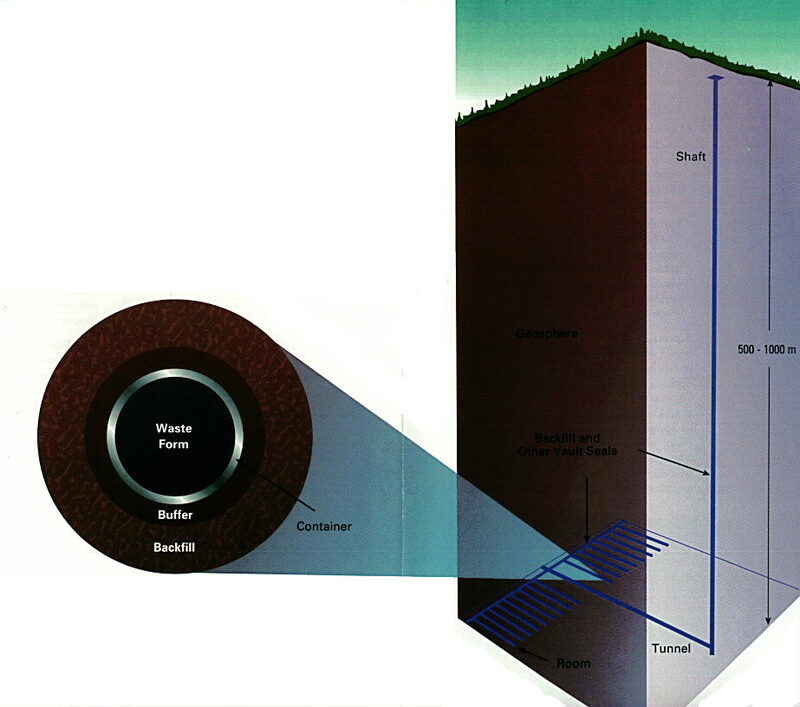 The linked figure illustrates the concept of 4 barriers and the underground siting (132K). At levels of ~250 meters and ~425 meters, AECL is characterizing the processes needed to store spent fuel and/or reprocessed high level waste. The linked figures show: (1) one of the tunnels at the 250 meter level in the area where simulated storage studies have been conducted (76K), and (2) bore holes where groundwater and chemistry tests have been conducted (99K). The simulated studies usually would not require use of radioactive sources since thermal, chemistry, and groundwater flow testing are the predominant tests done. 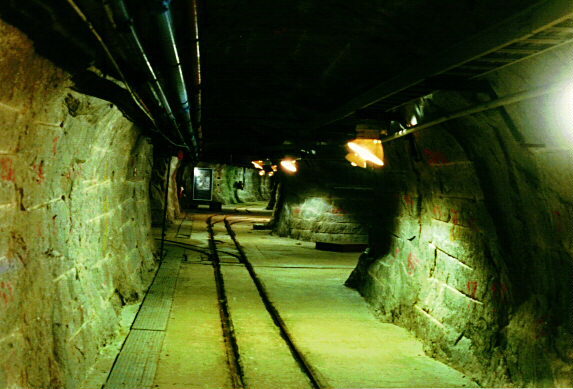 They have also evaluated a natural geological analog that would be representative of prior nuclear reactor waste products underground storage. At Cigar Lake in northern Saskatchewan, a 1.3 billion year old deposit of uranium ore was used to evaluate the solubility of uranium dioxide. Based on the results of the various studies, recommendations will be made to the federal and provincial (e.g. Ontario) governments and the affected Canadian utility corporations. Waste that includes environmentally hazardous chemicals is considered as mixed waste. As such, it must be handled separately and comply with EPA regulations, e.g. RCRA and TSCA, as well as NRC regulations.